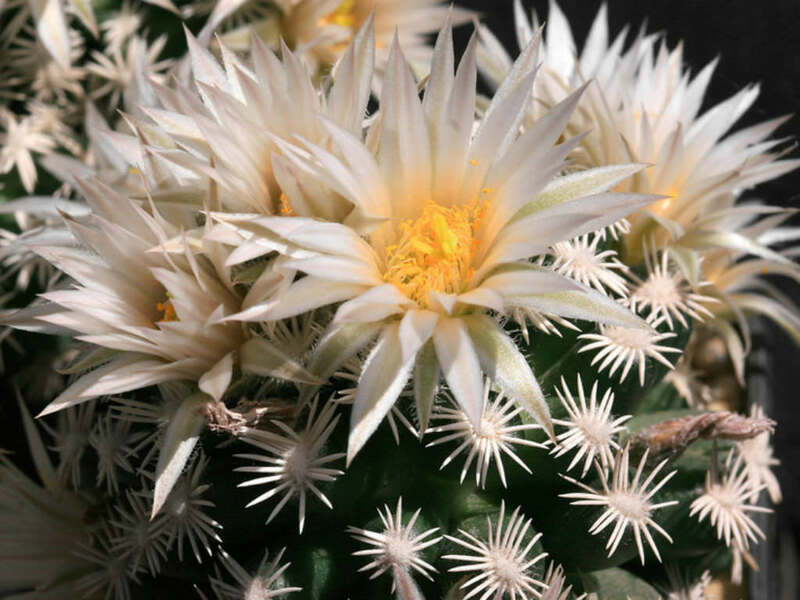 Escobaria abdita is a fascinating little, very cryptic, geophytic cactus with a swollen subterranean root. The stem is solitary, up to 1.2 inches (3 cm) in diameter, but often more in cultivation. 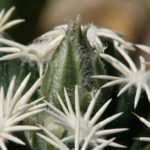 Spines are short, ivory to chalk-white, more or less spindle-shaped, round and four-layered in cross-section in a characteristic radial-pectinate arrangement. 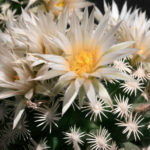 Flowers are small whitish with light pink stripes on the tepals, up to 1.8 incesh (4.5 cm) long and up to 1.4 inches (3.5 cm) wide. The fruits are up to 0.3 inch (8 mm) long, as it mature it dry up into a very thin translucent, parchment-like structure. 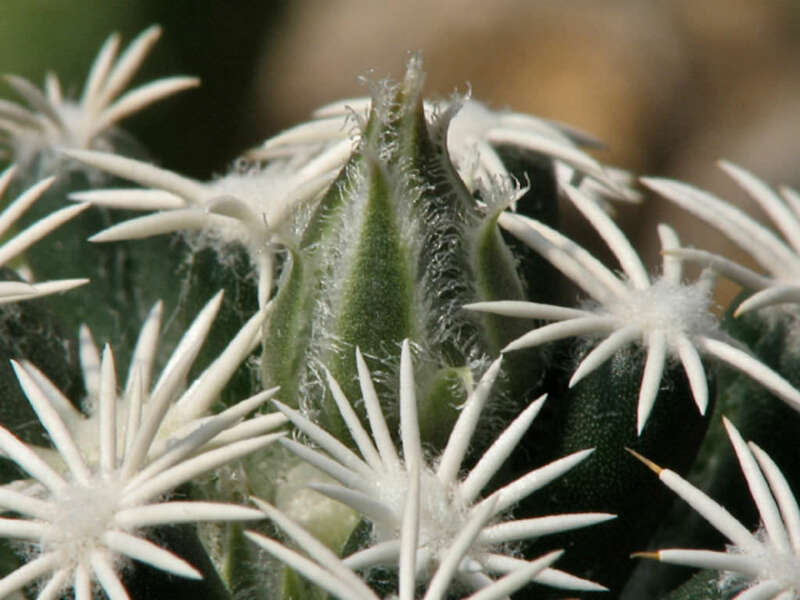 Escobaria in cold environmental conditions will almost certainly lead to death of the plant. 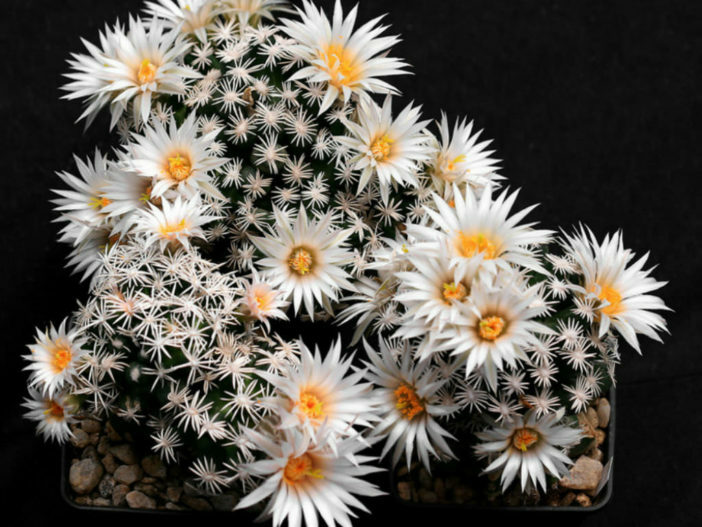 In the growing season the plants, whose growth is typically quite slow, like to perceive a significant temperature difference between night and day. 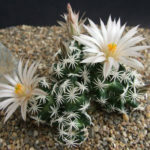 The experienced grower knows well the difficulties of survival of this genus, certainly not one of the easiest to grow. 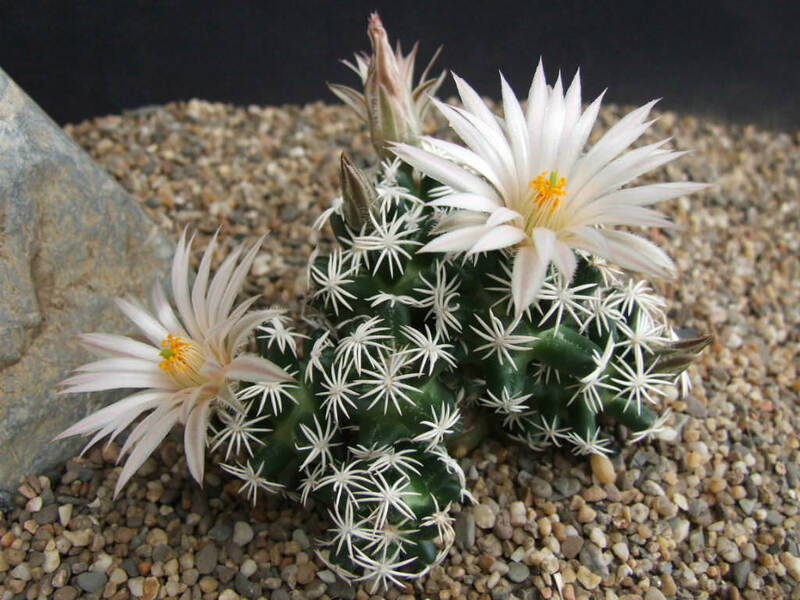 The seed germination rate is lower than other genus and in fact other methods of propagation are preferable, as a offsets or cuttings… – See more at: How to Grow and Care for Escobaria. Found in the Mexican state of Coahuila.